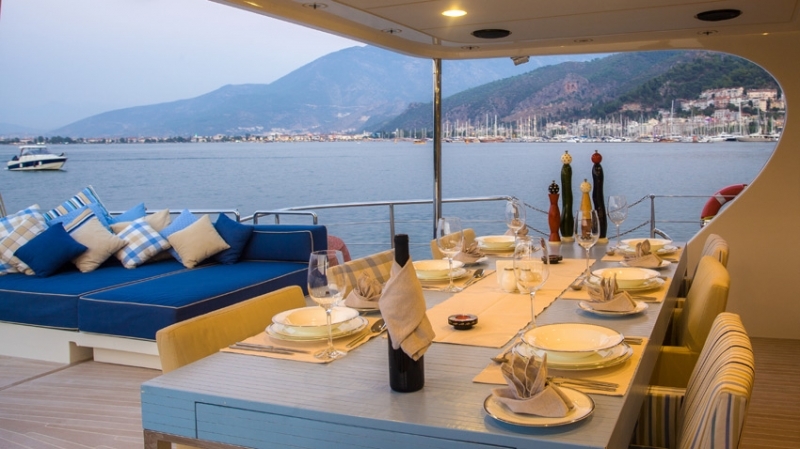 Tenders + toys: One North Star speed boat with 115hp Yamaha four stroke, water ski, ring, canoe. 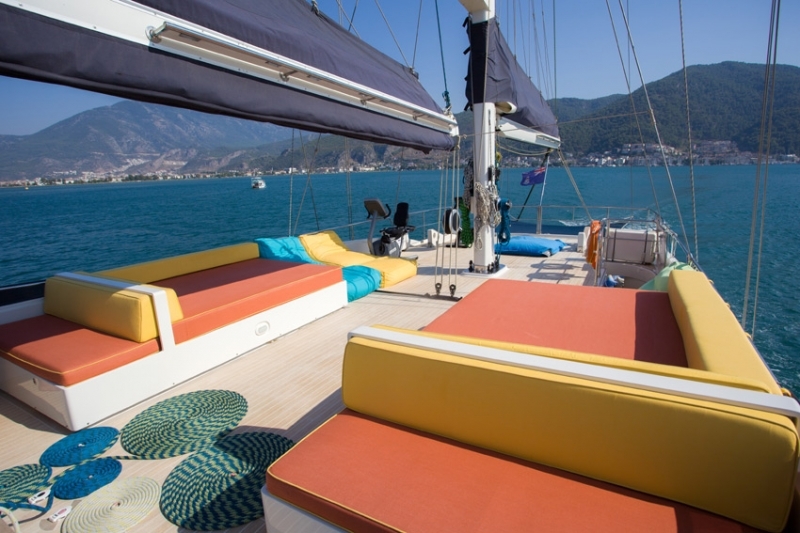 Built in Turkey by Mengi Yay Shipyard, luxury sailing yacht L’AQUILA features naval architecture by Kerim Demir and interior design by Moshe Kastiel. 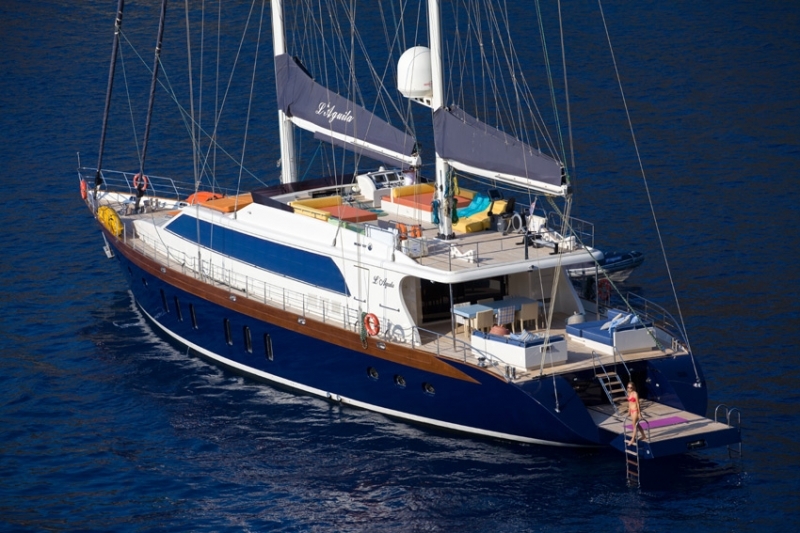 S/Y L’AQUILA measures 31.58m (103.7ft) in length and offers accommodation in 5 en-suite cabins, for up to 10 yacht charter guests. 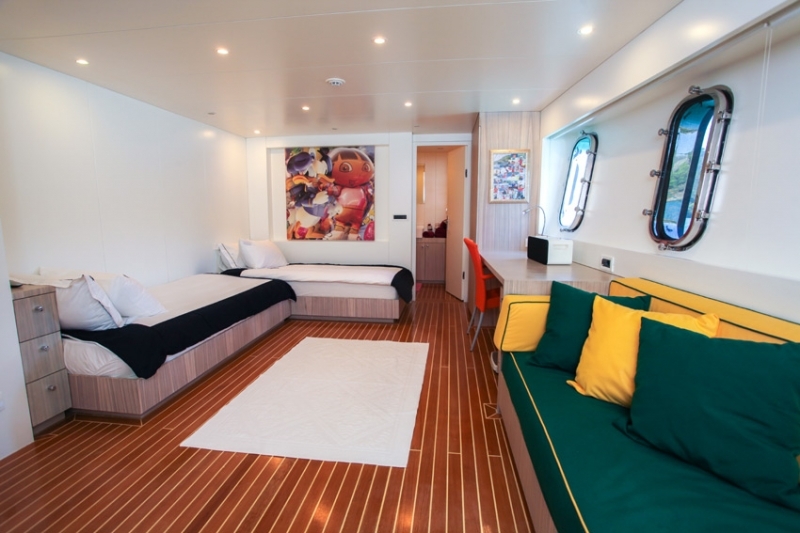 L’AQUILA’s interior décor is contemporary and light, with earth tone and white panels, wood floors and trendy bespoke soft furnishings, of modern fresh colours. 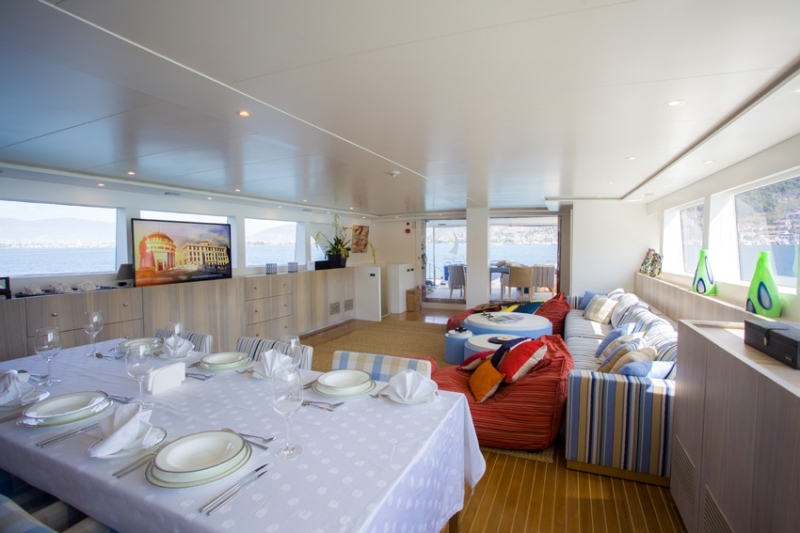 The salon and dining is an open plan with panoramic side windows. 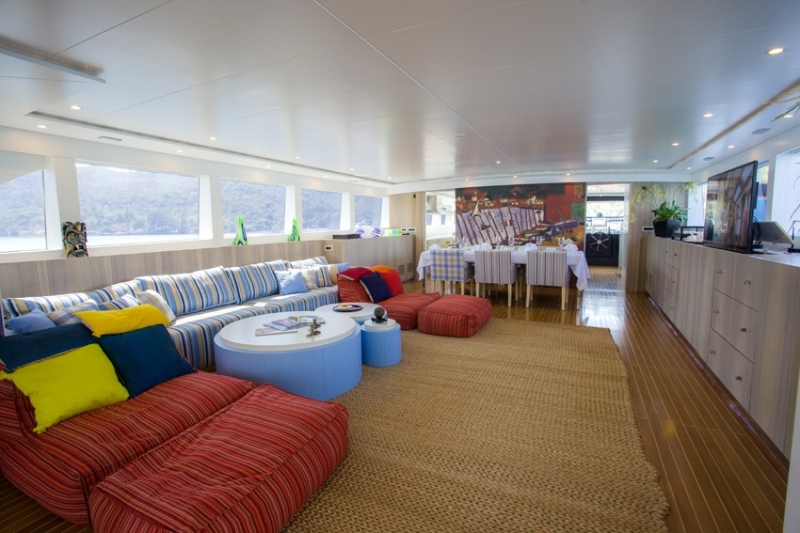 The spacious lounge is aft and offers plush seating and tables to port, with a full entertainment system and surround sound to starboard. 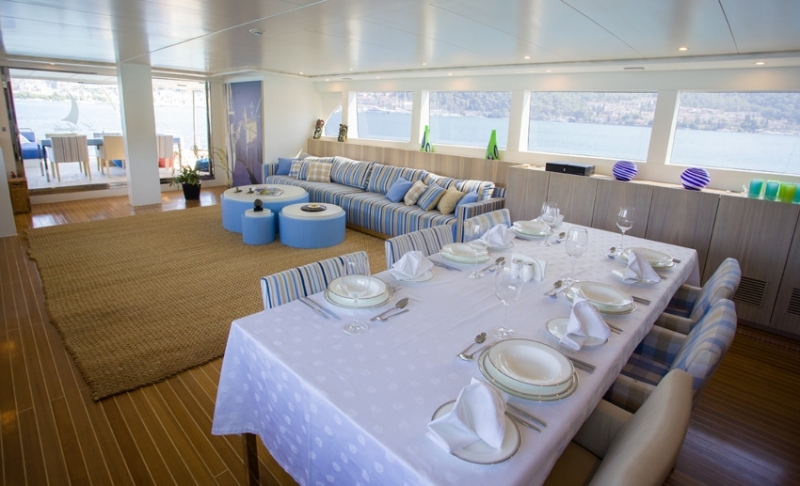 Forward the formal dining area seats guests with unrivaled views. 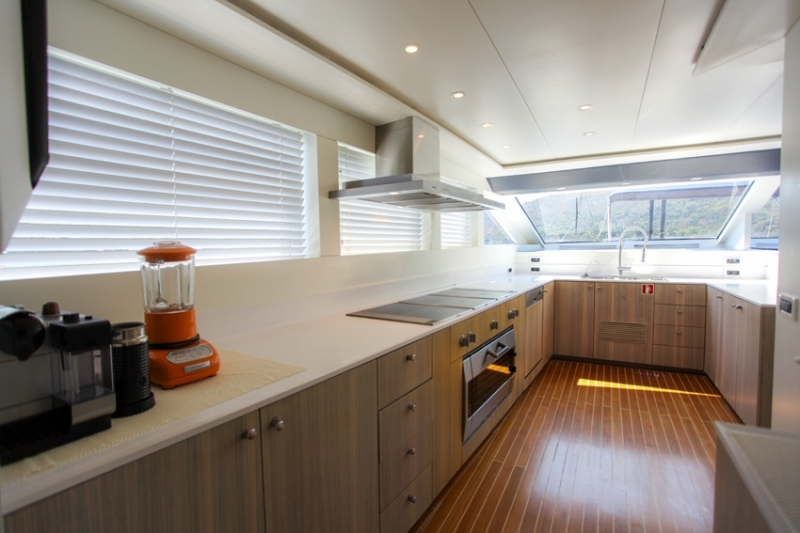 Further forward and separate, is the well-equipped galley and navigation station. 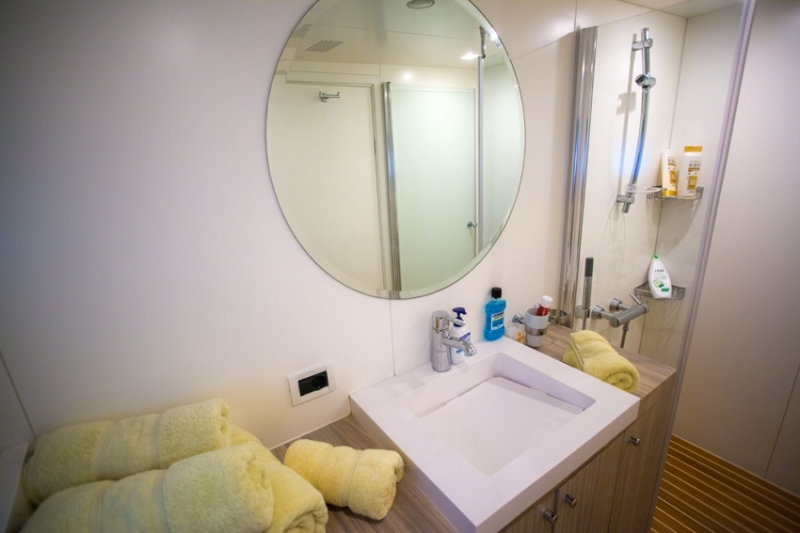 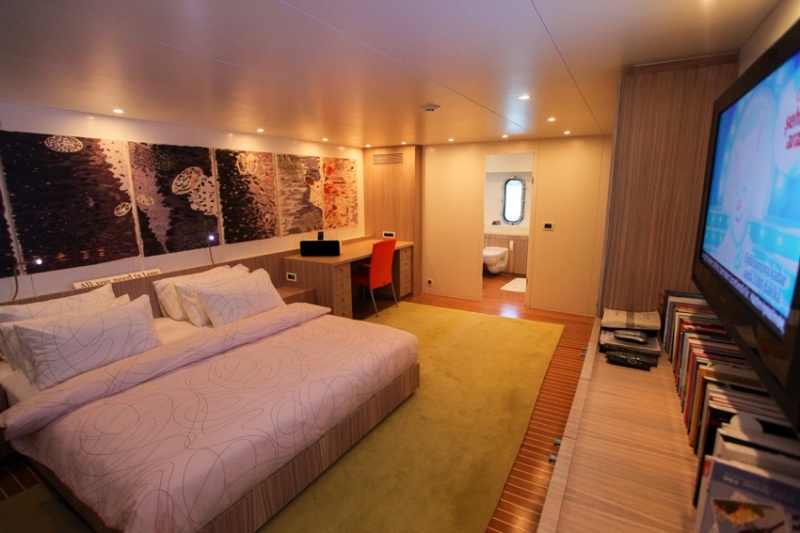 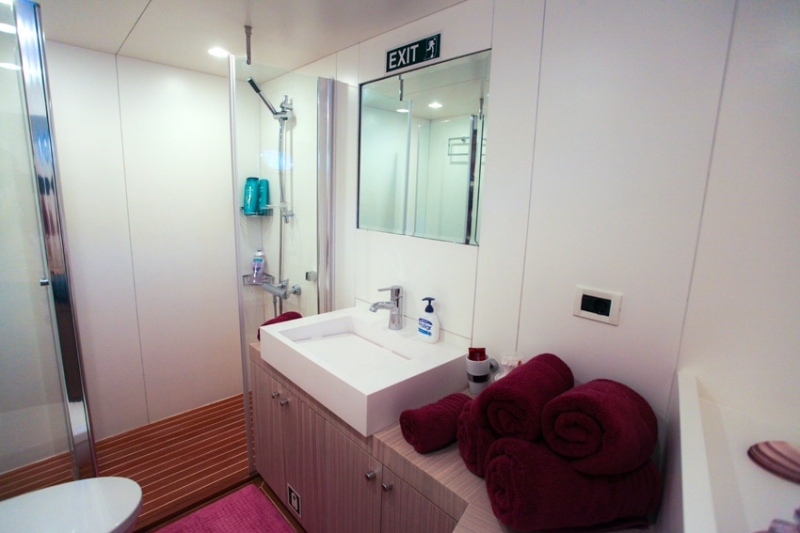 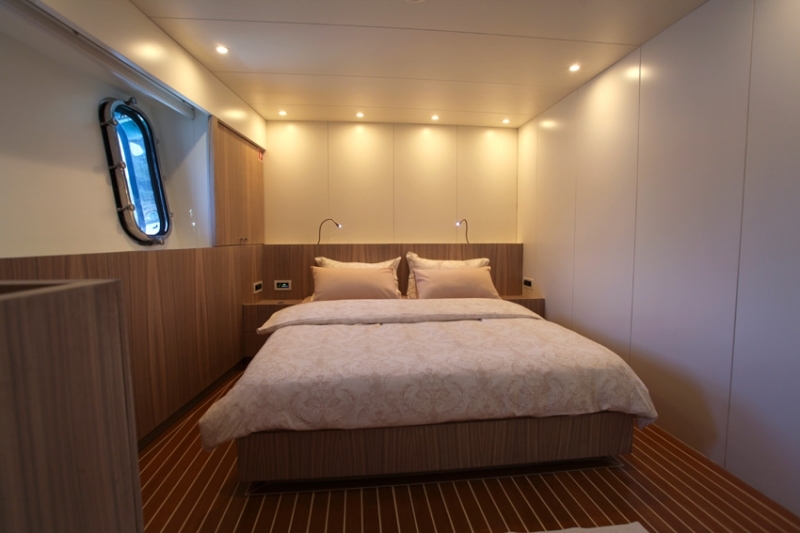 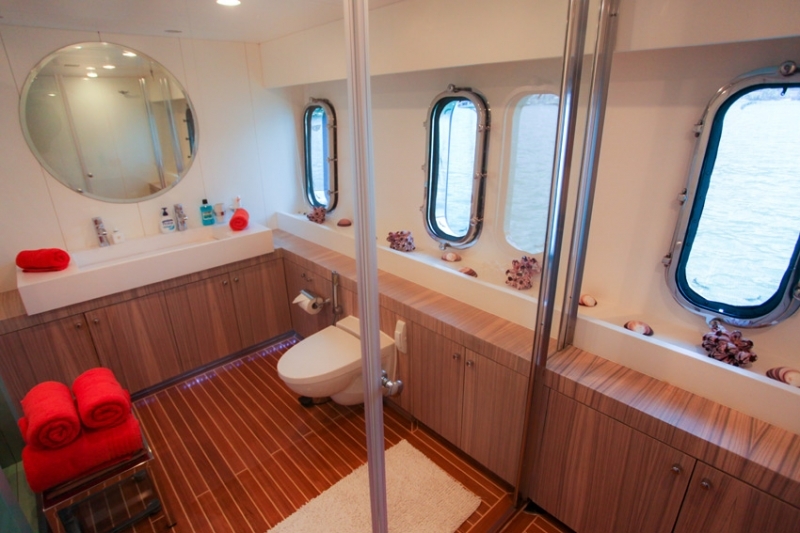 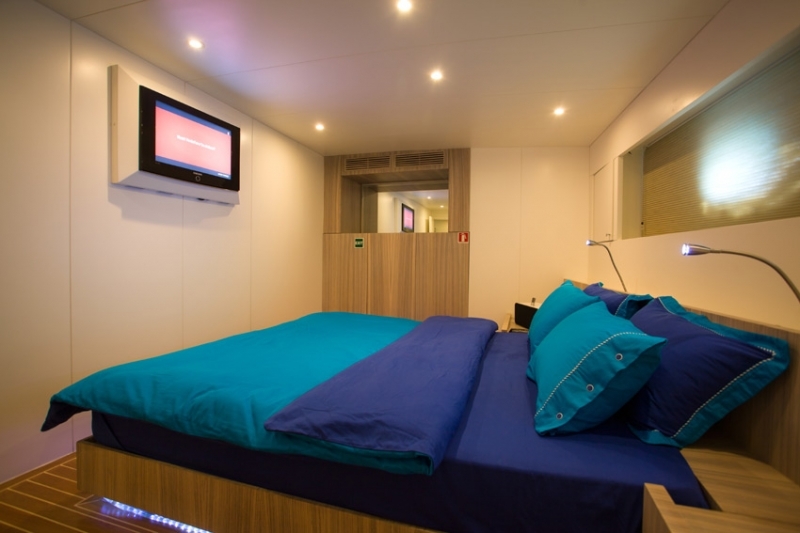 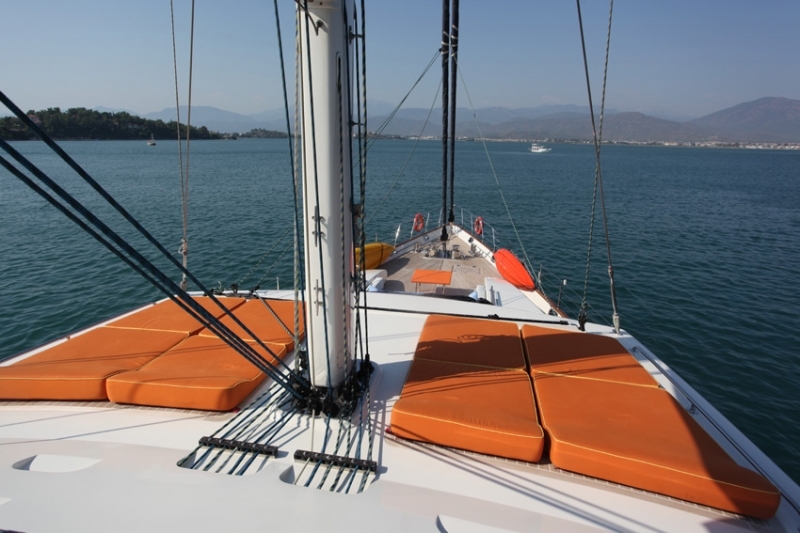 Below decks, S/Y L’AQUILA has 1 master cabin, 3 double cabins and 1 twin cabin, each with private en-suite facilities. 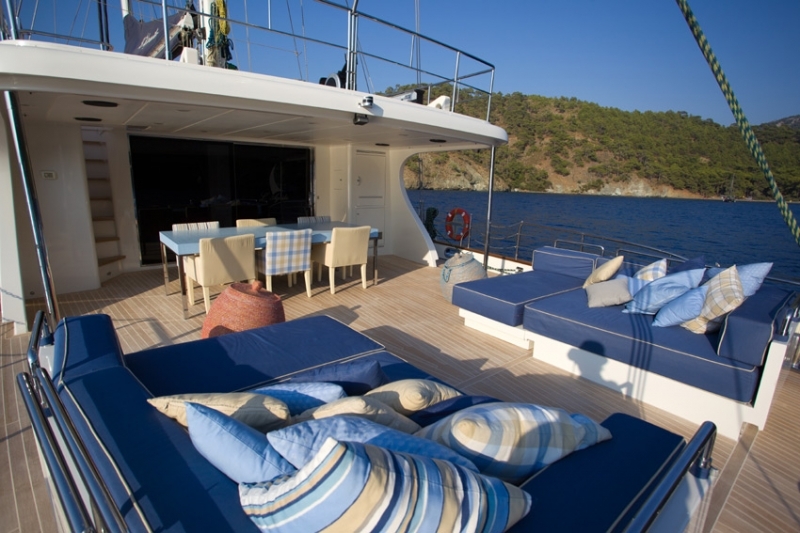 Crewed charter yacht L’AQUILA is fully air conditioned throughout. 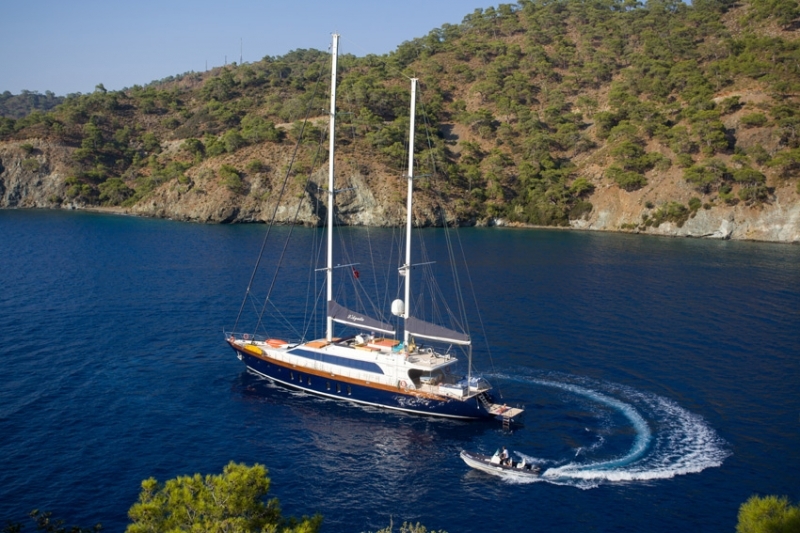 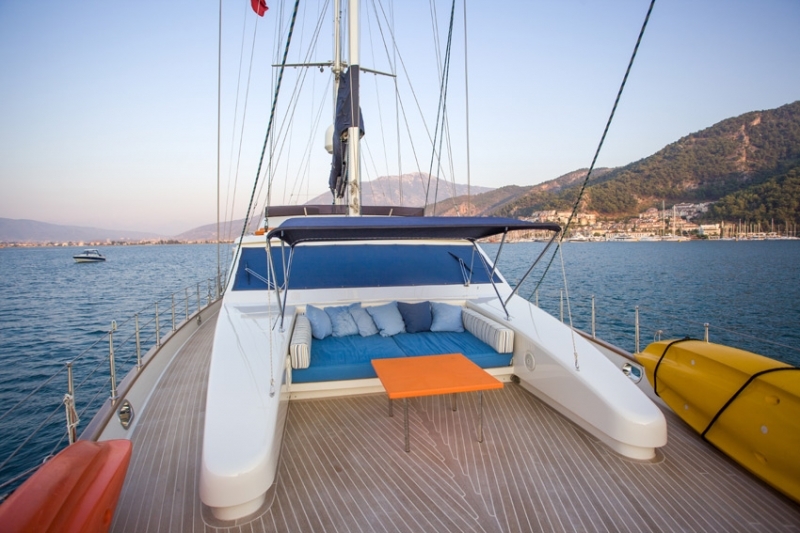 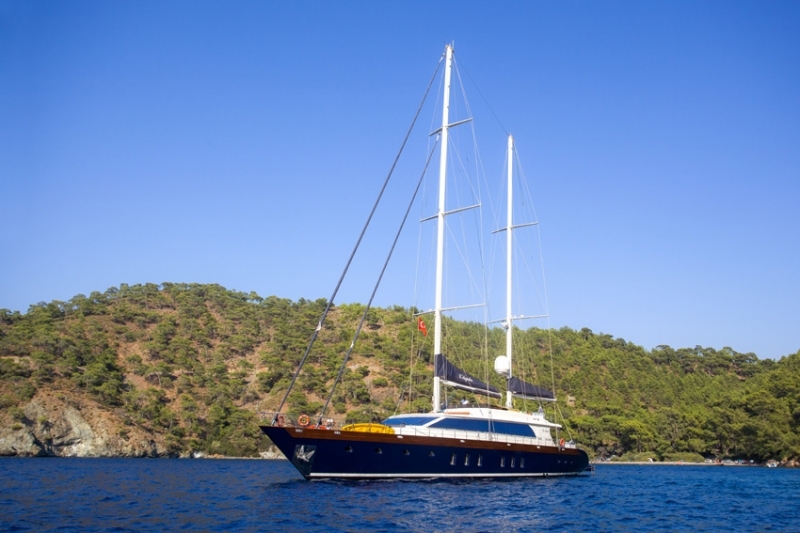 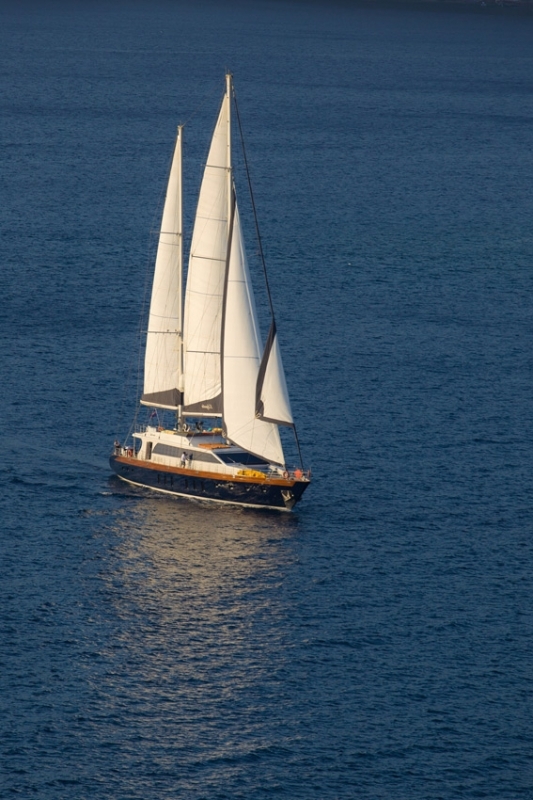 The ketch rigged sailing yacht L’AQUILA has great exterior deck spaces and is perfect for relaxing and entertaining. 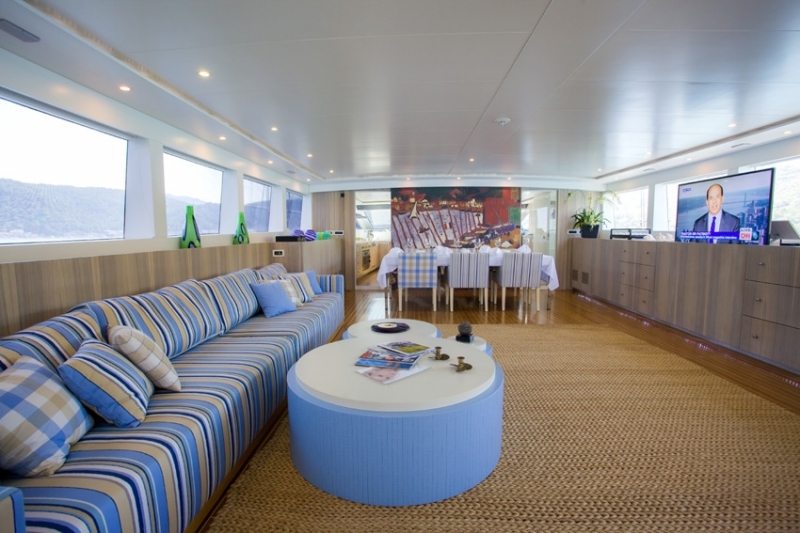 Adjacent to the salon is the generous aft deck, featuring partial shade over the alfresco dining area and 2 large seating / sunpad areas. 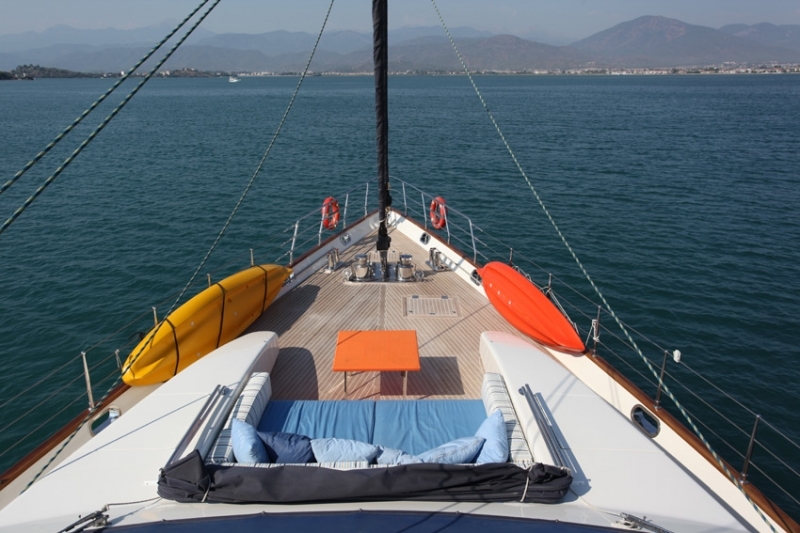 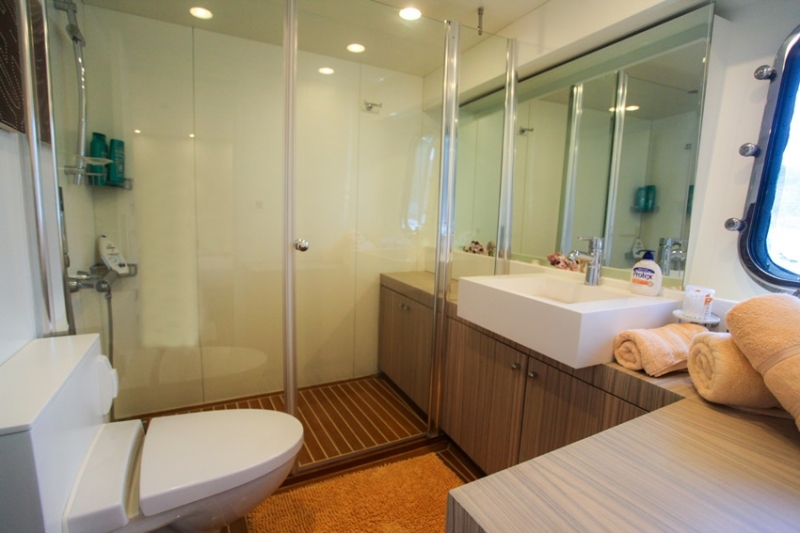 A massive fold out transom, creates a fantastic water sports area and ideal teak beach. 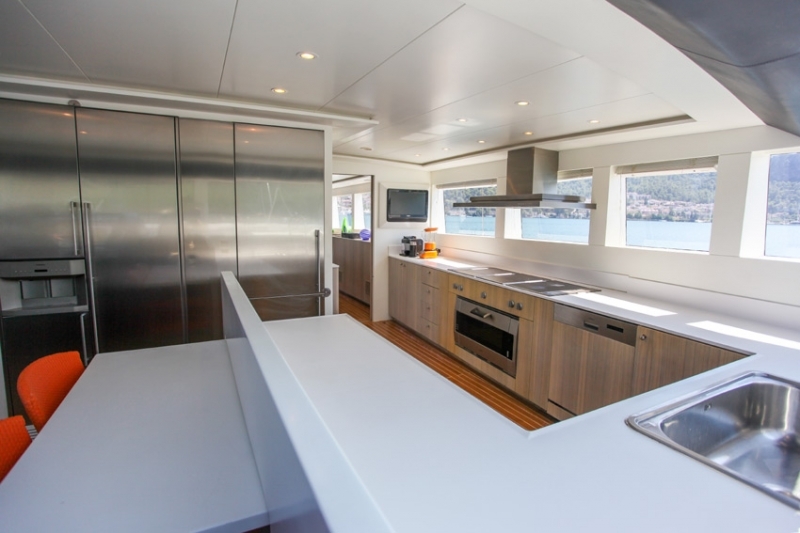 The main deck wraps around the yacht 360° giving effortless access to the capacious foredeck and further built in sunpads, complete with removable Bimini cover. 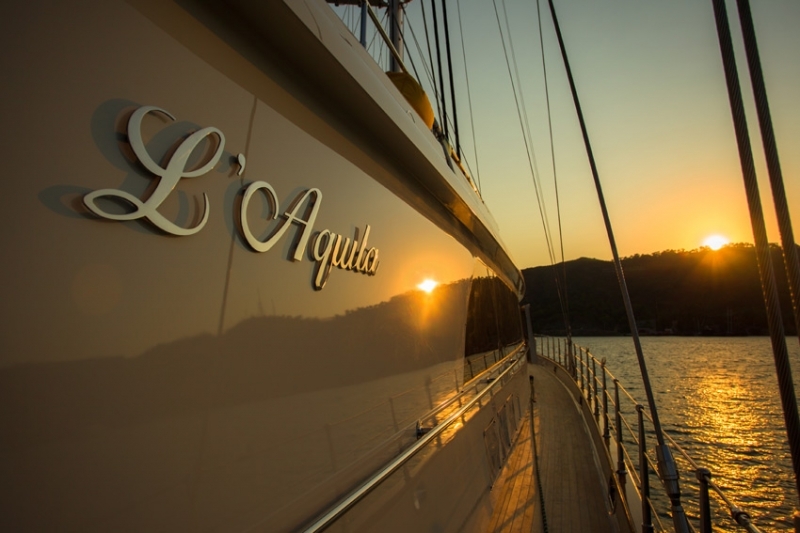 S/Y L’AQUILA boasts an upper flybridge deck and ample sunpads, seating and gym equipment, for those wishing to keep up a fitness regimen. 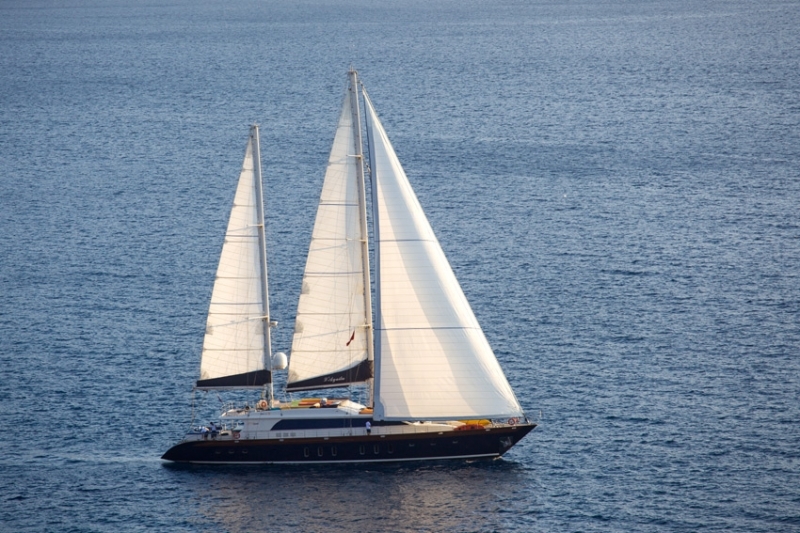 Powered by 2 x MAN 440hp engines, sailing yacht L’AQUILA can reach speeds of 11 – 14 knots.